Am I Disabled Enough to Get Special Treatment? Earlier this year, I wrote an article describing a personal challenge I faced when people illegally parked in handicap spots. The piece got picked up by Yahoo! and garnered over 600 comments. Many people expressed support of my plight, but a fair number of commenters were downright cruel. People said I wasn’t really handicapped, I was just lazy, fat, mean, and a whole host of other insults. They insinuated that I do not really need a placard and am abusing the system. One person even said he would give me his life’s savings if I could prove I wasn’t obese. These comments were made by strangers who know nothing about my life. They don’t know that I am a rule follower to the core. I’ve always tried to use my handicap placard with discretion and have kept my promise to never sit in a wheelchair as long as I can walk. I took my first steps out of a wheel chair in 2006 and I haven’t sat in one since. This morning, I was headed to DC to join fellow scleroderma patients and leaders of the Scleroderma Foundation to lobby for increased federal funding. I parked my car at Chicago’s O’Hare International Airport. I’ve lived in Chicago my whole life, but still have a hard time navigating one of the largest airports in the world. Given my astoundingly horrendous sense of direction, finding the economy lot was a major triumph. I arrived at the United terminal with my ticket preprinted. All I had to do was get through the security line. I was feeling like the strong, independent woman I had been working my whole life to become. I wish I had been wearing a hat so that I could throw it up in the air like Mary Tyler Moore! Then I got to the security line. Holy crap, the line was so deep I couldn’t even see where it led. I got in line and heard passengers saying it was going to take 45 minutes to get through. I was going to miss my flight. I saw other travelers who were running late push their way to the front of the line. One lady who I know was behind me magically got three whole roped lines ahead of me. I began to consider my options. Option #1- I could just skip ahead. No, I will not be a line-cutter! These people all have places to go, I am no more important. Shame on me for not leaving my house earlier. This is my own fault. I will not break the cardinal rule of waiting my turn. Today it might be line-cutting, tomorrow it could be jaywalking. What comes next? Complete anarchy? Option #2: I could tell one of the TSA agents that I have multiple handicaps and need a wheelchair. 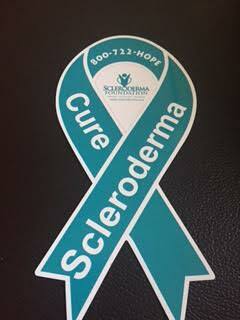 I would rather miss my flight and miss Scleroderma Advocacy Day than ask for special treatment. As long as I can walk, I don’t belong in a wheelchair. As the minutes ticked by and the line didn’t move, tears welled up in my eyes. I will not cry, I will not cry. Gone was the strong, confident woman who had entered the airport. She had been replaced by the lady who was desperately trying not to dissolve into hysterics. By the time I got up to the TSA agent who was checking IDs, I knew my only hope of getting to my gate was to request wheelchair assistance. Most people can run to their gate to catch a flight. I can’t. Attempting not to sob, I communicated my request. I even told him I was traveling to DC to meet with members of congress (as if he cared). The agent said he could not help me. I would need to go through the security line before I could even ask for wheel chair assistance. This may shock some of my readers, but I am not an assertive person. I know, I launched an international campaign after the Facebook Ad team rejected my face. It’s true, I am always the one who will stand up at faculty meetings and “speak my mind.” I can be assertive in those regards, but I clam up when it comes to asking strangers if I can skip ahead of them in a security line. I would rather deliver a professional speech in front of thousands of people, then go up to a random person and ask for a favor. As we approached the conveyor area with the plastic trays, I asked the people in front of me if I could go ahead of them. They were all so nice (or maybe they were just scared of the crazy lady who was in obvious distress), but they graciously allowed me to skip ahead. Unloading my belongings, I once again asked for wheelchair assistance. The kind gentlemen pointed to handicap services, which was within sight. I just needed to get through the body scan. I stepped through the x-ray machine, knowing full well I was not going to be allowed through. I never am. “Are you wearing a money belt?” The female TSA officer asked. I went through the drill of swabbing my ostomy bag (above my clothing thankfully) with the special paper they use to detect bomb residue (or whatever else they’re checking), then wiped the paper on my hand, so that the agent could put it through the testing machine. She allowed me to pass through. I wanted to tell Porsche that wasn’t at all the case. I wanted to tell her that I went through over a year of intensive physical and occupational therapies to walk unassisted. I wanted to tell her that I can only wear special orthotic custom-made shoes, I walk at a snail’s pace with a limp, and have neuropathy. I wanted to tell her that I could probably get a wheel chair every time I travel, but I never do because I don’t want my kids to see me in a wheelchair and re-trigger the trauma of all we endured when I nearly died at 31. Instead, I thanked Porsche profusely, gave her a tip and was met at the gate by a fantastically friendly and compassionate United worker who helped me board. Did I abuse the system? Did I deserve to sit in that wheel chair and receive special treatment? 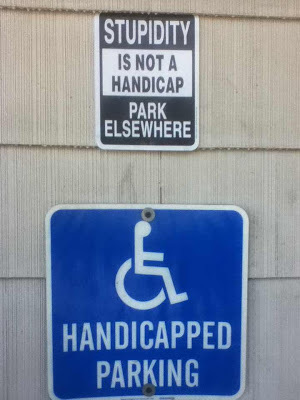 Some will accuse me of being one of those shameful fakers who use their handicap status to get what they want. On the other hand, there is no question in my mind that had I been able-bodied, I would not have needed assistance in the first place. I would have been able to walk faster through the parking lot, taken the escalator, instead of waiting for multiple elevators, I wouldn’t have been stopped for having an ostomy bag, and I would have run to my gate to catch my flight. I don’t know if I did the “right” thing. I do know that I’m writing this from a hotel in DC. Tomorrow I will be requesting federal support for a disease that nearly cost me my life and takes the lives of many Americans each year. I made the trip here on behalf of hundreds of thousands of patients who can’t. Many thanks to all the fellow passengers and United workers who helped me get here. I hope I can pay it forward. I don’t in any way mean to imply that being in a wheel chair is “shameful,” or should typically trigger a traumatic reaction from children. My words only reflect my personal experiences of being in a wheel chair and what that represented for my kids. To the commenter on Yahoo! Who bet his life savings that I was obese, please read this. Way to go, Lisa! Let us know much money that cruel loser has in his life savings and thank him profusely for his generous donation to scleroderma research . Good luck in DC! You are very inspiring! Keep on truckin! You go girl! Good luck today . Everyone that has been following you is there in spirit with you! Thanks Arlene! I love all your supportive comments! Lisa, you’re amazing! Keep on doing what you’re doing! Thanks so much Bonnie! Hope you are doing great. Thanks Franny! Already home. It was an amazing day. Good job! I would have been in tears long before I got through the line. Thank you for representing us in congress. Thanks! It was an honor to go to DC. Thanks Catherine! It was so great meeting you yesterday!